Forget the oversized sunglasses, we're here for the small sunglass trend. 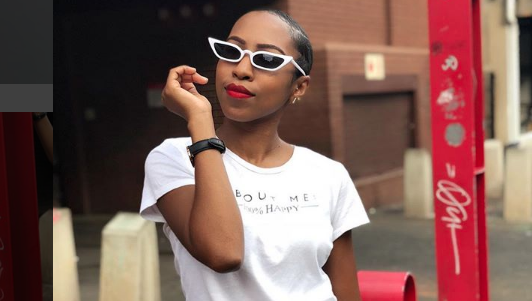 Spotted on the likes of Rihanna and Bonang Matheba, this trend is growing in the fashion industry and we're loving it. For those into retro chic, this trend is for you and will sure give you the 90s nostalgia that you need. There’s something about red lipstick..???? She knows who she is and is fiercely, fearlessly and unapologetically owning it! #beunapologeticallyyou ?????? "I went from Ashy, to Nasty, to Classy"???? || The other night @taboo_jhb. @mr.allofit with the drip??? ?